In a seamed knit piece, the selvedge stitch, is the one that gets seamed away. When you slip the first stitch of every row, you are moving the stitch from one needle to the other without pulling the new yarn through it. This causes an elongated stitch at the edge that covers two rows. Although this creates a lovely finished edge if you are making a scarf or shawl, there are two issues that for many knitters (me included) makes our mattress stitch look, less then wonderful. 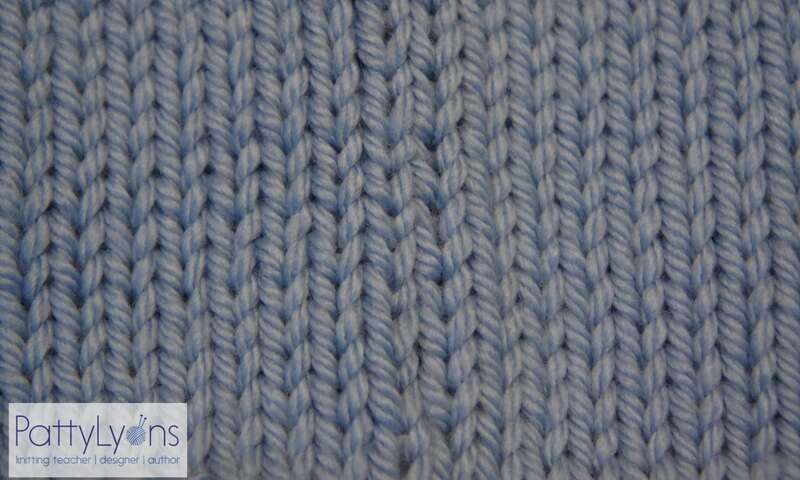 First, the slack of the elongated stitch, also effects the way the second stitch looks, a bit large and sloppy. 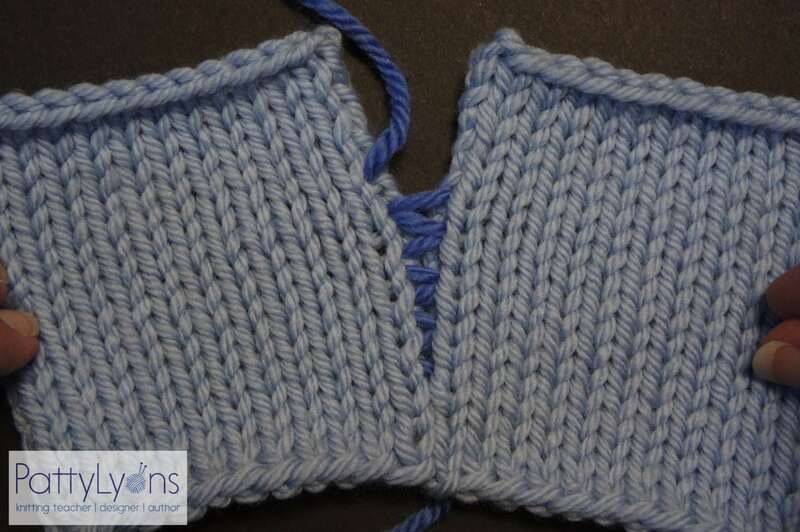 Second, since the edge stitch travels over two rows, the running bars do not come out of each row, but rather two running bars occupy the same space. This means over 10 rows, you will basically have 5 spots to put your seaming yarn. Thank you for this, I never knew! I’ve watched your Explorations in Cables class so many times – I love it, you totally transformed my knitting life! I also have the Advanced Knitting Fixes but my internet speed is very slow and I haven’t been able to download that one yet for some reason. Anyway, I was hoping you might be able to advise me….I’m knitting “Brick” by Clare Lee and somehow I forgot most (not all) of the increases at the beginning and end of the rows! Is there anyway to add these without frogging everything? Hi, The Interweave classes are also available on DVD if that’s better. They can exchange it. You can find the links here: https://pattylyons.com/classes/online-classes-2/. You could order the DVD and then return the digital. 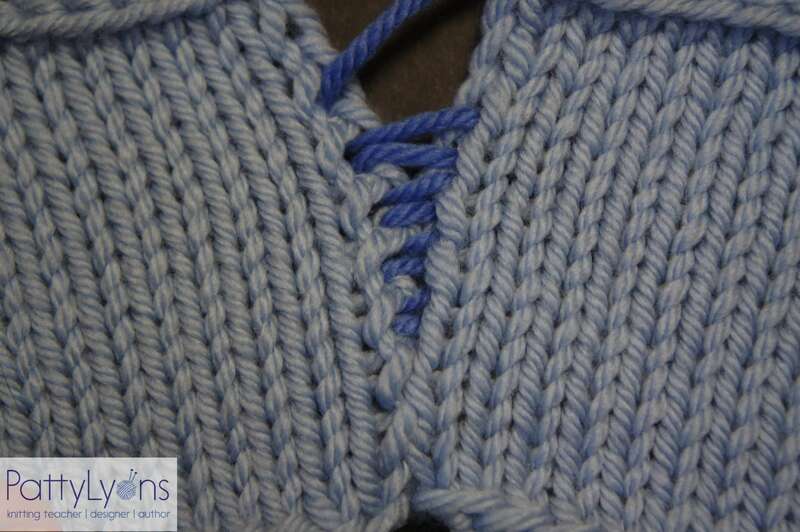 2) From Advanced Knitting Fixes – Knit up to the spot of the missing increase, drop down and put it in.